The world space the image represents can be easily changed with the mouse. Zooms the world space in and out by adjusting the scale value. This does not compensate for quality loss. The scale used to draw the affines is inversely scaled so they do not change size. Note this does not change the values of the affines internally. Zooms only the display of the affines in and out by adjusting the scale value used to draw them. When working with an image, sometimes the output only looks desirable at a certain scale/zoom level. If this level happens to be extreme, the affine circles can either be off the screen, or too small to manipulate. Holding Alt while scrolling allows for easy manipulation of the affines no matter what zoom level is used. Note this does not change the values of the affines internally. Moves the center point of the world space. Rotates and zooms. This does not compensate for quality loss. 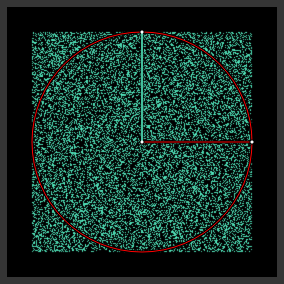 Note the pivot for which the rotation angle is computed is the center of the viewable area, and a turquoise line will be drawn from the mouse to it so you can see how much you are rotating and scaling.